The YHOO stock price today is already climbing 3% after Reuters reported on Saturday (May 14) that Warren Buffett was interested in financing a deal for Yahoo's Internet assets. The 85-year-old "Oracle of Omaha" confirmed his interest in Yahoo! Inc. (Nasdaq: YHOO) on CNBC today (Monday). He plans to help Quicken Loans founder Dan Gilbert finance a bid. Buffett told CNBC that he doesn't know enough about Yahoo to evaluate its value. He was interested in helping finance Gilbert's bid, though, if proper terms and protections were in place. Along with the financing, Berkshire was also an equity partner in the takeover of Heinz and Kraft. As of March 31, Kraft Heinz Food Co. (NYSE: HNZ) was Berkshire's largest holding, accounting for 19.89% of its portfolio. Susan Decker, Yahoo's president from 2007-2008, has a board seat on Berkshire. Decker said in April that Yahoo had become mediocre. She believes it would be beneficial for Yahoo to either go private or be acquired by a larger corporation. Berkshire's April 30 shareholder meeting was also streamed for the first time ever through Yahoo. 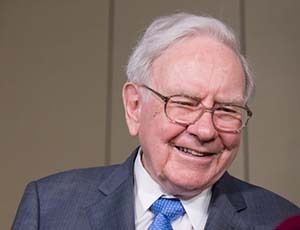 Buffett stated that Yahoo did a "terrific job" with the livestream. Outside of Berkshire, Verizon Communications Inc. (NYSE: VZ), Bain Capital, and TPG Capital are the largest bidders. According to Re/code, Yahoo told bidders that it expects revenue in 2016 to drop by a total of 15%. In Q1 2016, Yahoo reported a year-over-year revenue loss of 11.62%, which is in-line with the loss expectations for the year. Many YHOO stock owners are wondering why there are so many bidders even though the company is struggling. While Yahoo may be losing money, it still has one very attractive holding: its patents. The patents are believed to be worth as much as $4 billion, according to Business Insider. The Internet giant has a portfolio with over 6,000 intellectual patents in mobile technologies, data, and advertising. It still isn't clear if Yahoo is going to sell its patents as part of its Internet business or separately. But owning those patents helps companies go through fewer hurdles when creating new technology. The second reason companies want to buy Yahoo is because of its Internet business. Yahoo News and Yahoo Mail were the third-most visited sites in the United States in 2015, according to The Wall Street Journal. In October 2015 alone, these two sites received a combined total of 210 million visitors. Based on share of visits, Yahoo Mail was actually more popular than Gmail in 2015, according to Statista. These platforms already have a massive built-in user base, and the right investors could turn each platform into a major new source of revenue. Analysts at Thomson First Call now have a one-year target of $41.09 for the YHOO stock price. That's a 10% gain from YHOO's opening price of $37.03. The YHOO stock price could continue to climb and reach that price target as the public receives updates about the bidding process. The Bottom Line: The YHOO stock price today is up 3% because Warren Buffett expressed interest in financing a deal for the company. While Buffett won't purchase the company directly, this will certainly heat up the bidding process. With a one-year price target of $41.09, YHOO shareholders could continue to watch the share price climb with an intense bidding battle.